Power Your Presentation ideas ! Enhancing Microsoft PowerPoint with Templates, Plugins, Converters and more..
With customers around the world, DigitalOfficePro - a Microsoft partner, is a leading global provider of powerful rapid communications, online-training solutions and high quality multimedia tools. DigitalOfficePro knows the value of powerful and professionally designed visuals to cater industry needs. Being dedicated to development of high-end products. 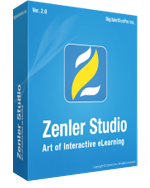 Zenler Studio is a powerful, yet easy-to-use, eLearning authoring system that offers a programming free environment for creating interactive eLearning courses. 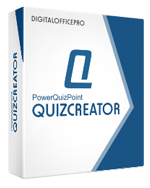 With PowerQuizPoint Quiz Creator you can insert interactive Quiz slides directly into your PowerPoint presentations and Publish them to Macromedia Flash format.